Regular visitors to SUPERMANIA could be forgiven for noticing a lack of posts in the last few weeks but now we are back, and with exclusive coverage of the most significant and personally gratifying event this site has ever hosted. As the sun sets on this years Milton Keynes International Festival #IFMKFest, a wide ranging celebration of culture and history within the city, the 10 day celebration closes this very evening with the big screen premiere of Director Richard DeDomenici’s Superman IV: Redux – Thirty years to the date of the UK release of Superman IV back in 1987. This latest addition to the Redux Project, a bold experimental attempt to remake selected scenes from Hollywood blockbusters brought DeDomenici to the infamous locations used in 1986 by Cannon Films to shoot there some thirty years later. 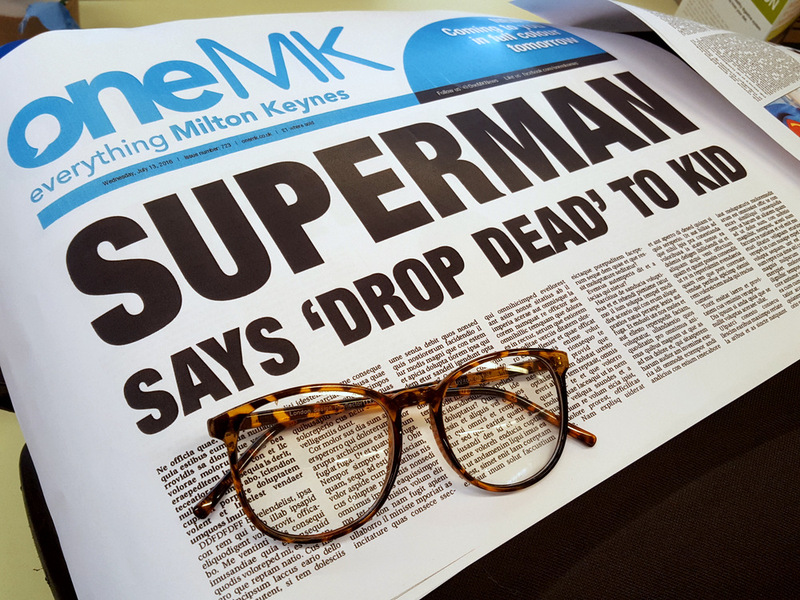 Keen to celebrate their small but fondly remembered involvement in Superman cinematic history, Milton Keynes Council lent their full support to Superman IV: Redux. 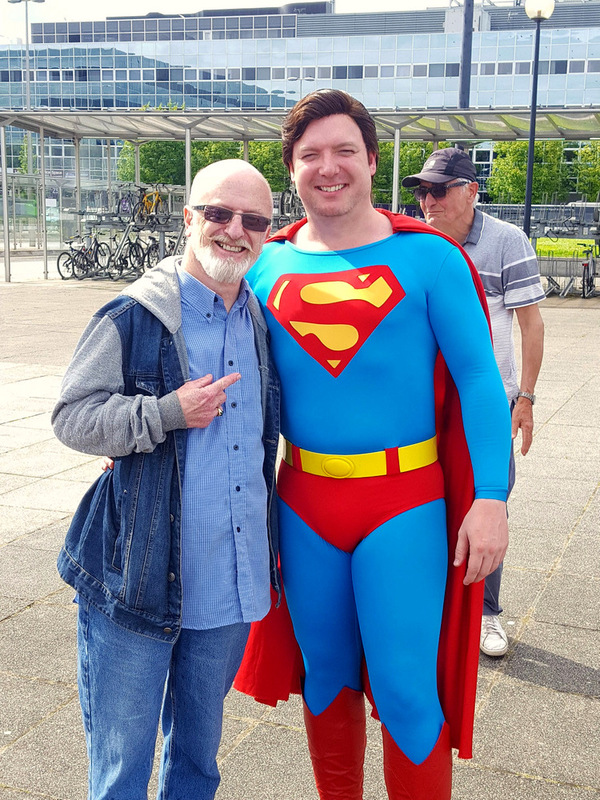 With years of research dedicated to the making, marketing and mayhem of Superman IV: The Quest For Peace it was only natural that the project would eventually come to my attention where I would admit to initially being sceptical. However, as the casting call was open to all and the opportunity to access indoor locations was rare I decided to tag along for the audition process. 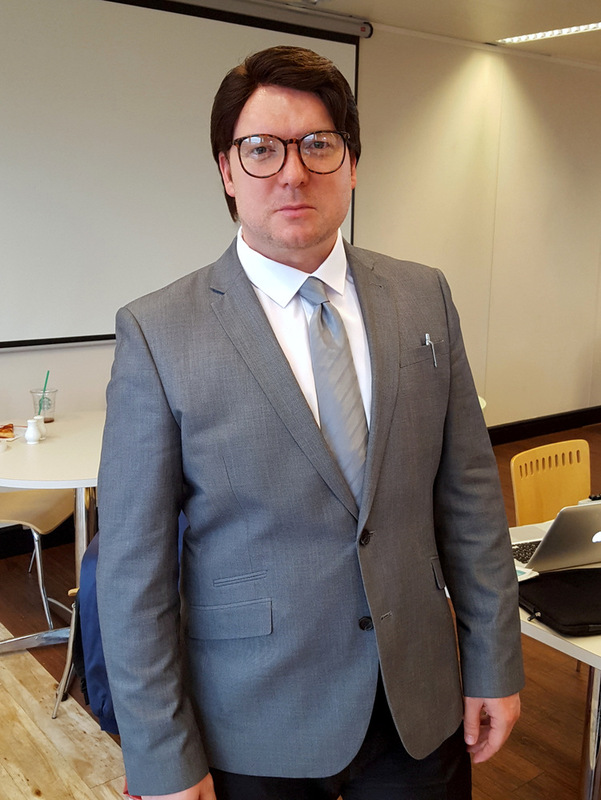 Never once did I anticipate or dream I would be cast as Superman/Clark Kent and embark on a short, but life-changing journey but that’s exactly what happened. I still can’t get your description of your drive down for the Meet & Greet out of my mind. Imagining you bursting out of the bushes with your red boots and flowing cloak. You really looked the part and deserved the role. 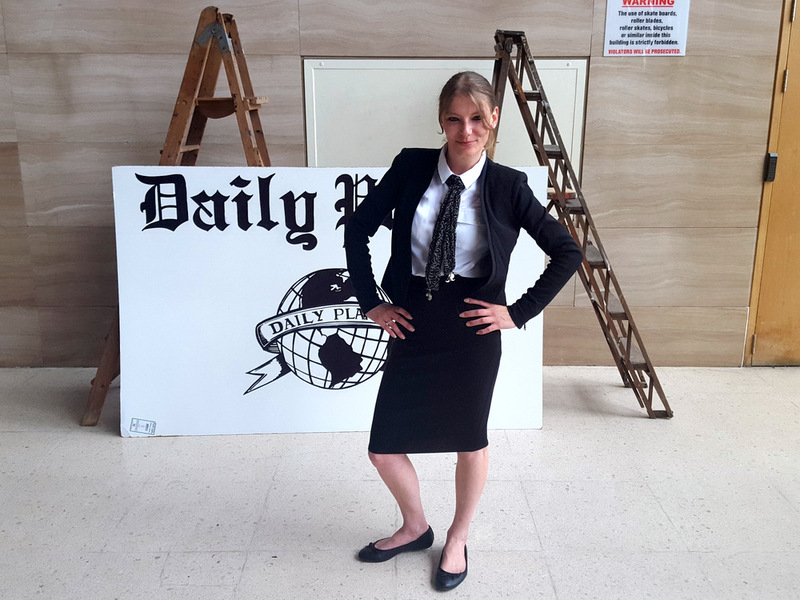 I was a mere extra but still managed to get into nine scenes in the film! I was first up the ‘escalator’ in the yellow top. I shouldn’t shatter your illusions but your description is much more dynamic than how it happened- being caught short on the M40 in the pouring rain is not an experience I’d wish to repeat! I hope you enjoyed the experience as much as I did and the final film lived up to expectations. For me I can’t believe just how much attention it got and the overwhelming positive response.